I was skimming through all my dessert cookbooks one day. I stopped to look at a delicious lemon pound cake, some chocolate chip cookies, and a very good-looking pear pie. I was thinking to myself, “Someone should combine all the best parts of those desserts into one!” After some experiments I discovered the perfect combination. 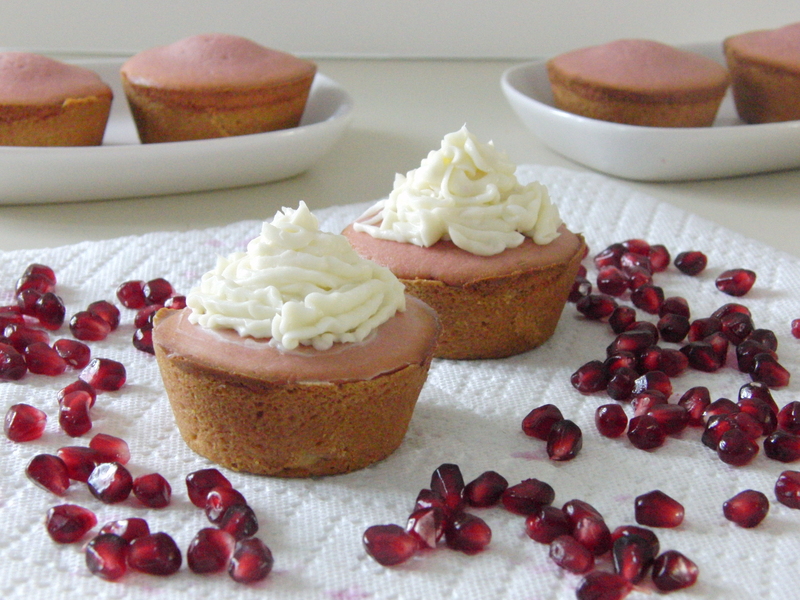 I present you with my very own creation to hit taste buds everywhere: Pomegranate Cake Tarts. 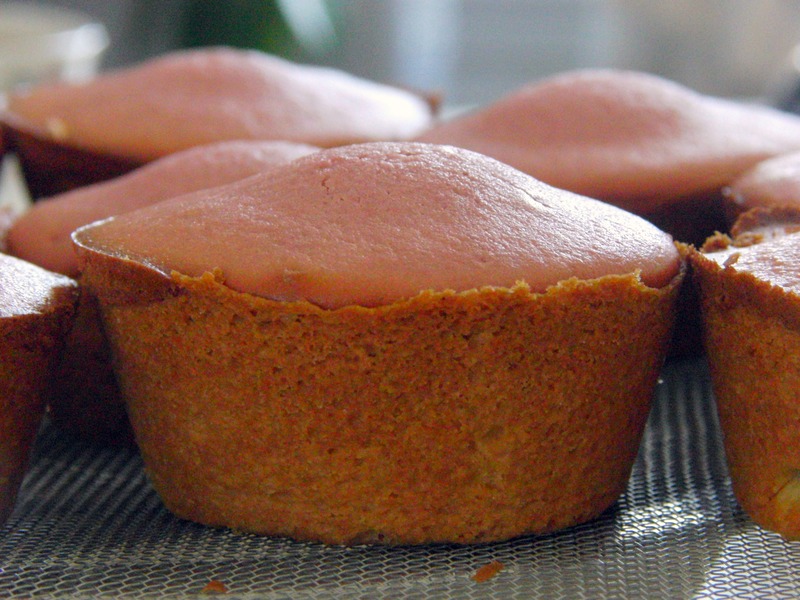 These delicious tarts combine all the best parts of cakes, cookies, and pies. The merging of all these classic desserts makes this dessert special. 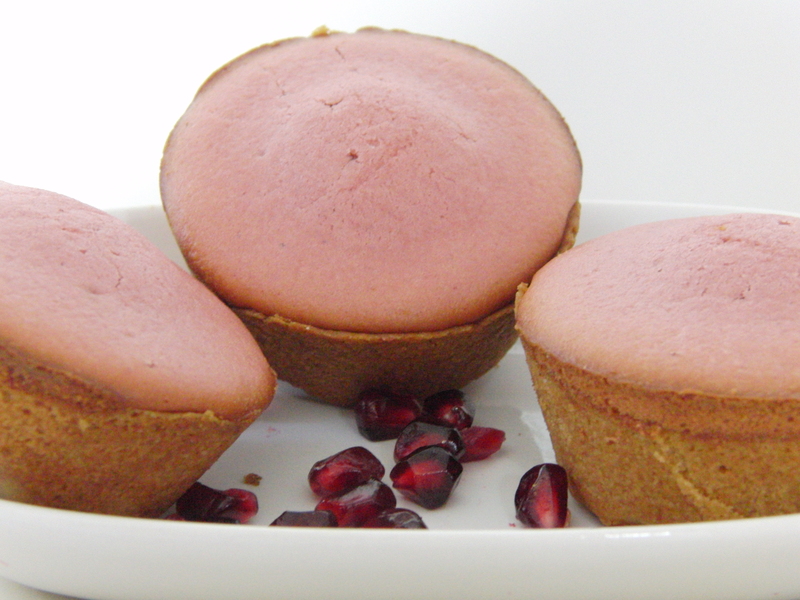 The “filling” of the tart is a moist red-velvet-esque pomegranate cake. The crust of the pie is a classic cookie with little hints of white chocolate (if you choose) . 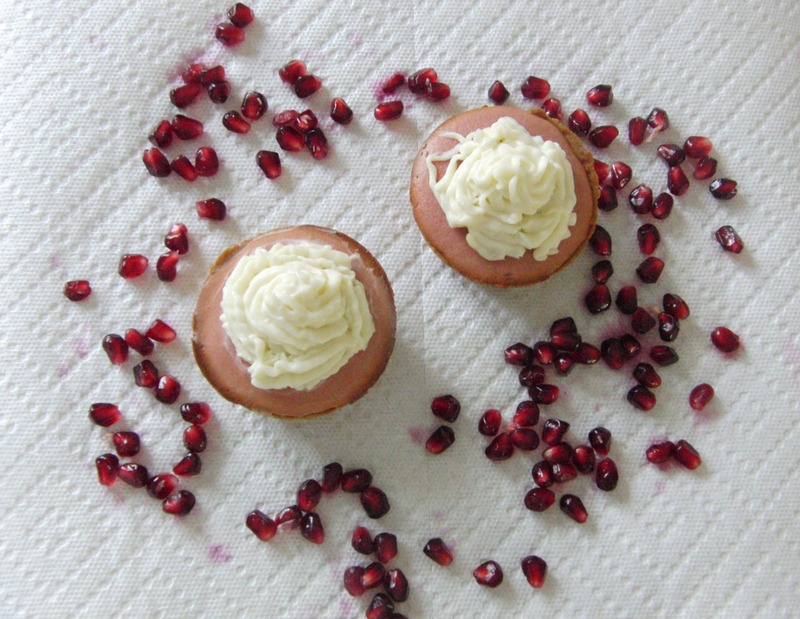 And I have the perfect frosting to go along with this too: White Cream Cheese frosting. 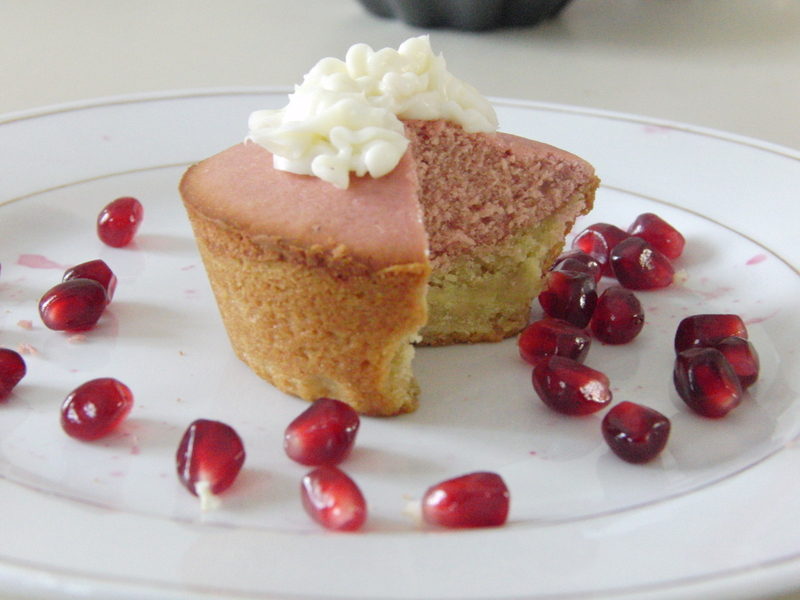 I’m proud to say I created this recipe and I’m glad to share it with all of you! Don’ they look delicious? Well I love all my photos that I took of my final product this time but I want to know what you guys think. Leave a vote or comment saying which one you like best!